Description: Single Layer SACD = Ultimate Audiophile Edition! 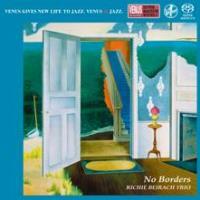 Pianist Richie Beirach's jazzification of classical melodies written by Schumann, Beethoven, Satie, Faure and Debussy. With the great support by George Mraz and Billy Hart, Beirach's performance here is by turns swinging, romantic and melancholic. Guest violinist Gregor Huebner appears on two tracks. The final tune is an aching original by Beirach called "Steel Prayers - Ballad for 9/11 WTC" commemorating the 9/11 tragedy which had taken place nine months before the recording. Recorded at The Studio in NYC, on May 7 and 8, 2002. Gate-fold paper sleeve edition. Single Layer SACD.